Successfully Added QR Barcode Scanner - Decodes Wide Range Of Codes, IP54, IR LED, USB 2.0, 960x640 Sensor Resolution to your Shopping Cart. Increase the productivity on the work floor with this affordable bar code scanner. This useful gizmo comes with a high brightness IR light source that lets you read and decode a wide range of codes. 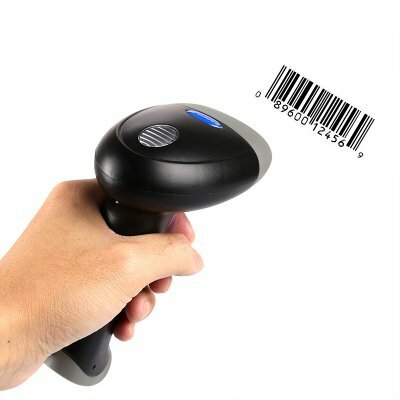 Thanks to its abundant decoding capabilities, this QR and Bar code scanner can be used perfectly for commercial, industrial, and healthcare usage. With its IP54 design, it is durable and resistant to water, dust, and drops. Thanks to this, you’ll be able to use it in harsh environments such as a factory or warehouse without needing to worry about it breaking down. This remarkable scanner is capable of reading both regular bar codes as well as QR codes. With this gadget at your side, you’ll be able to upgrade the efficiency of your business significantly. It is simple to install and use. Simply insert it into your machine, and you’ll be all set to go. From now on, you’ll no longer have to waste time and worry about errors created by manual labor. With this state of the art bar code / QR code scanner, you’ll increase your productivity instantly. This bar code reader comes with a 12 months warranty, brought to you by the leader in electronic devices as well as wholesale PC accessories..